Burberry was founded in 1856 when 21-year-old Thomas Burberry (1835 - 1926), a former draper's apprentice, opened his own store in Basingstoke, Hampshire, England. Burberry is a British luxury fashion house, manufacturing clothing and other apparel. 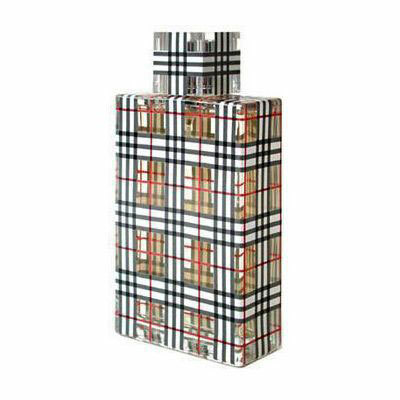 Its distinctive check pattern has become one of its most widely copied trademarks. The company has branded stores and franchises around the world, and also sells through concessions in third party stores. It also runs a catalogue business and has a fragrance line. Both HM Queen Elizabeth and HRH The Prince of Wales have granted the company Royal Warrants. Today, Burberry's trademark products are its fashionable handbags and exclusive fragrances. The current Design Director is Christopher Bailey The trench black, white, and red pattern known as haymarket check or the ""Burberry classic check"" was first used as a lining for the Burberry trenchcoat in 1924. The Novacheck was introduced for the younger market, later altered by making it more ""exploded"" (bigger) and slanted in a diamond or ""mitre"". So in a glance, the base price entry level for younger market is Nova (base level), then Haymarket Check for the older customers who like to stick to the traditional look, and then theres the Housecheck.